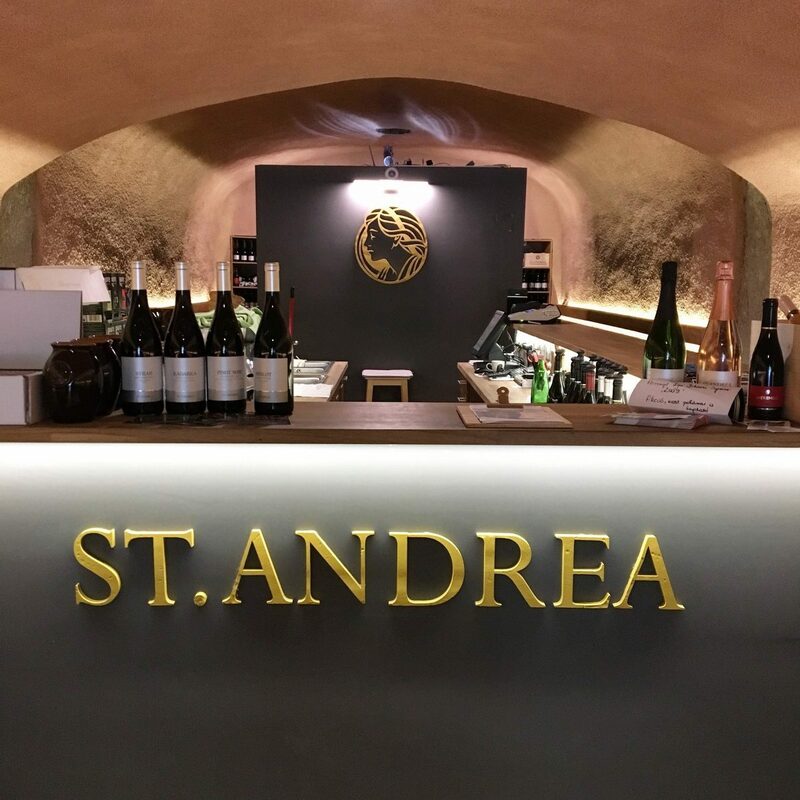 With around 200 cellars (~ 4 dozen open to the public) carved into volcanic rock in the valley, wine lovers can wander from cellar to cellar tasting to their heart’s delight. 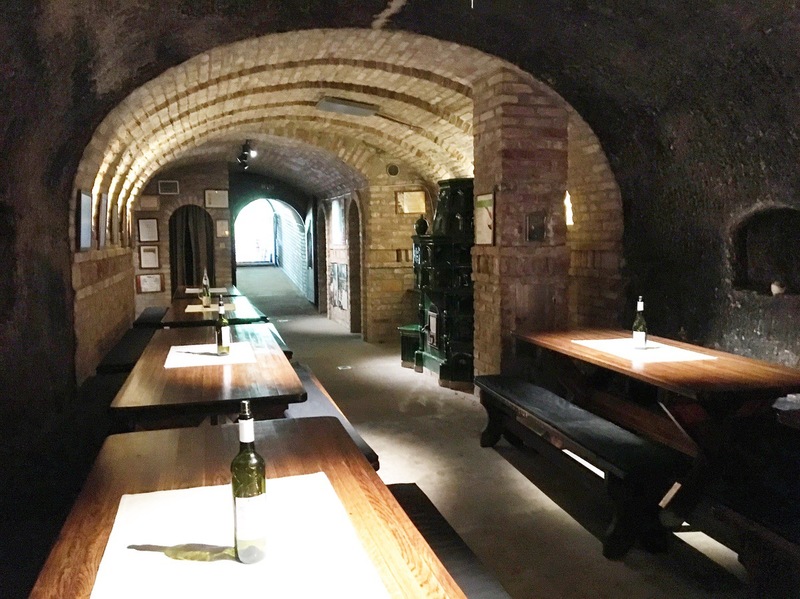 What ruin bars are to Budapest, wine cellars are to Eger. So just think of it as a wine crawl. 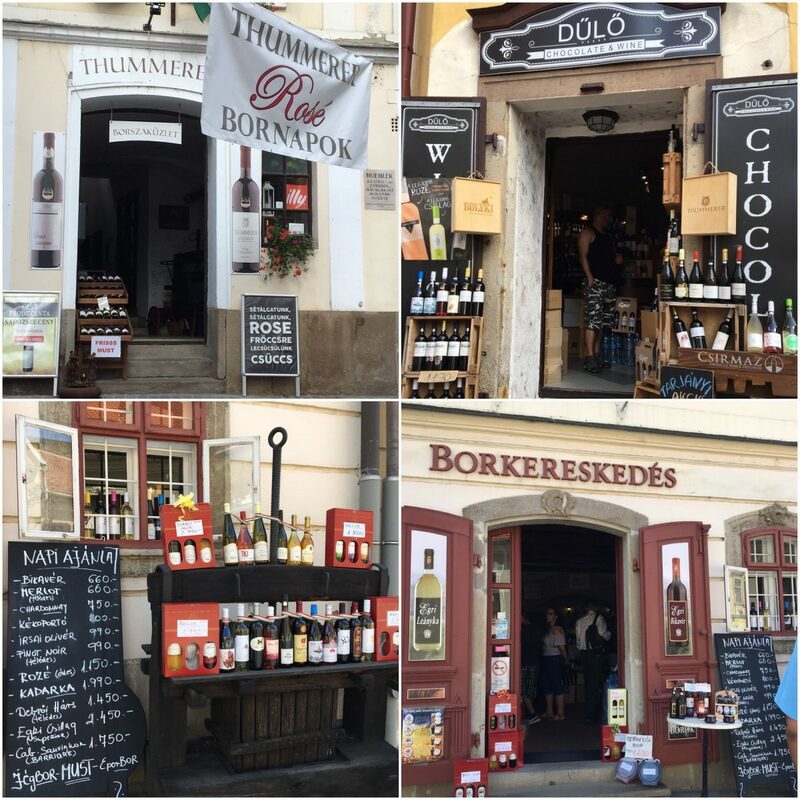 While a wide variety of local wines can be found in the Valley of the Beautiful Women, the most predominant is Egri Bikavér — or “Bull’s Blood” — the traditional red wine of Hungary’s Eger region. 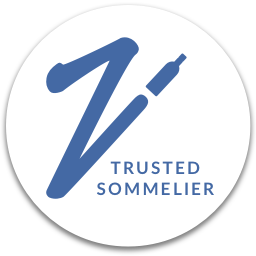 This bold and robust red wine is the signature wine of the region and is always a blended wine of multiple varieties with Kékfrankos (aka Blaufränkisch) as a major component. 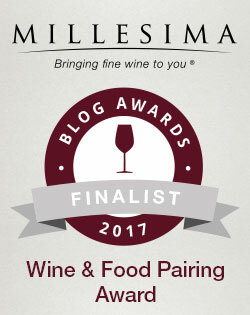 Just about every cellar will have it – pretty sure I tried everyone’s to compare! Egri Bikavér’s alternative “Bull’s Blood” name also comes with quite the history. It’s name goes back to the 16th century battle between the Hungarians and the Ottomans. After the unexpected and miraculous Hungarian victory, the legend began that the soldiers got their strength from drinking wine mixed bull’s blood and the name stuck. But there’s more than Egri Bikavér to be sure. 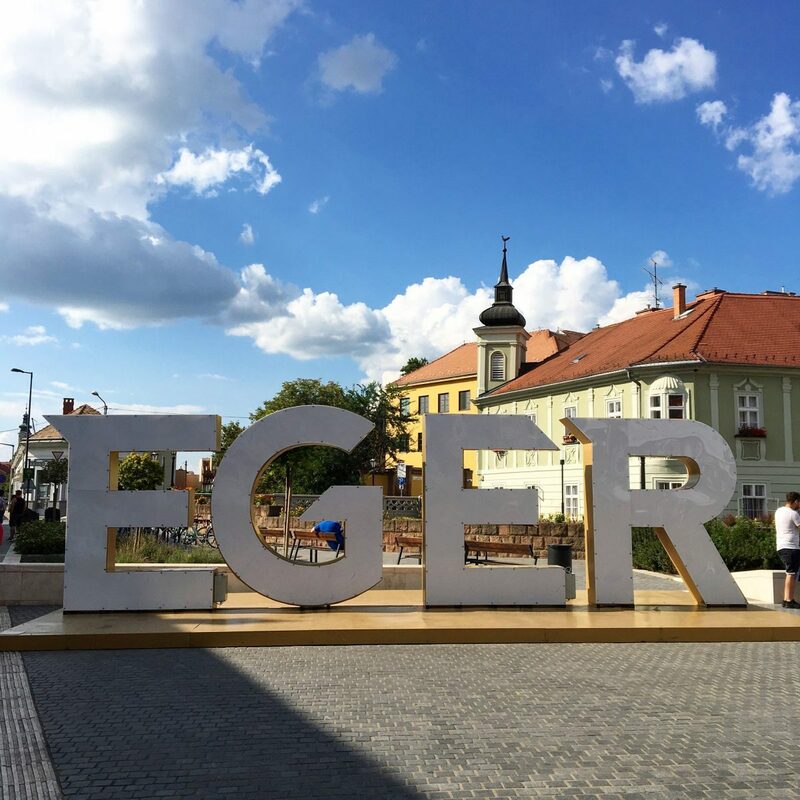 Eger’s terroir has been compared to that of Burgundy with its cool, continental climate and limestone and clay soils. Fresh, elegant wines are there for the taking. The horseshoe amongst which the wine cellars sit is rather charming. Some of the fancier cellars have nice patios and seating areas outside as well as trendy interiors, while others are more old-school, rustic outfits with the basics. 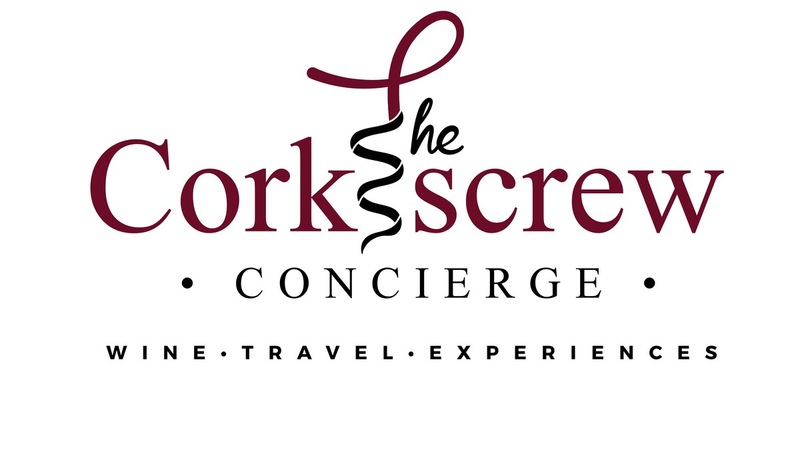 I’d say the more “modern” cellars will offer better service as they are geared more toward tourists. 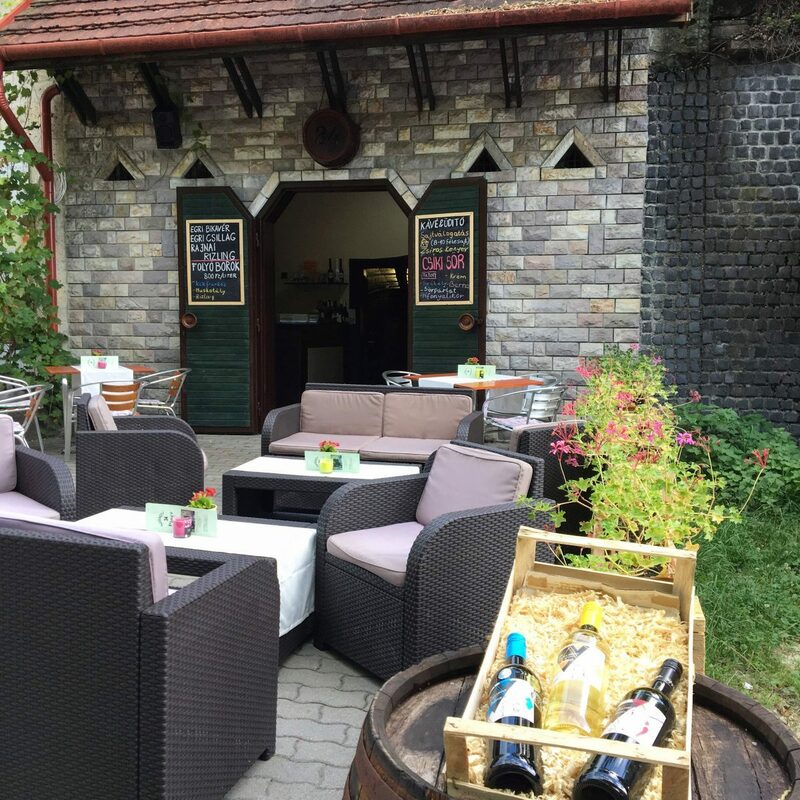 Toth Ferenc (Cellar 46)- quality wines available with an impressive selection of white wines. 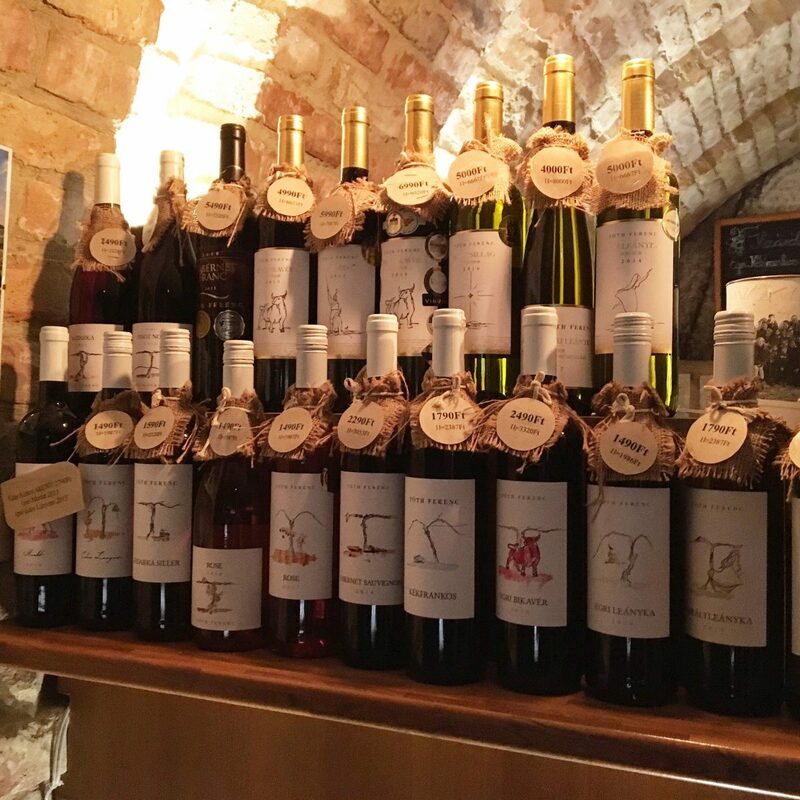 Molnár Pincészet (Cellar 16) – cozy, more traditional cellar with a great selection of wine including Muscat and Medina sweet wines. 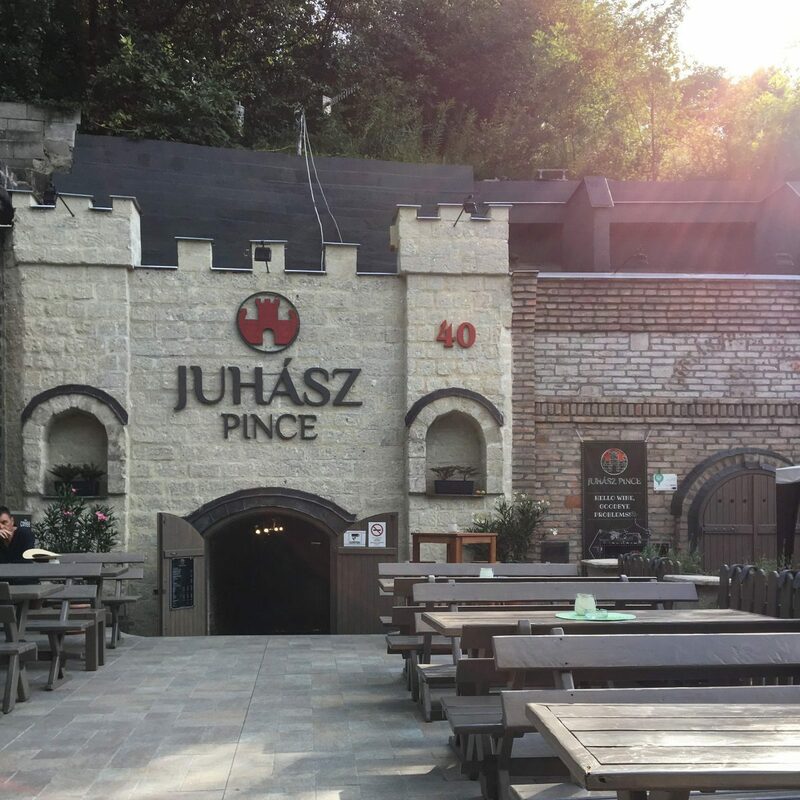 Juhász Pince (Cellar 40) – one of the more well known, quality producers of the Eger region with a tasty Rosé to boot. They even have a wine museum in their cellar. Petrény (Cellar 47) – traditional cellar with good service and with tasty Rosé and white wines, but which also had a pretty nice Pinot Noir. 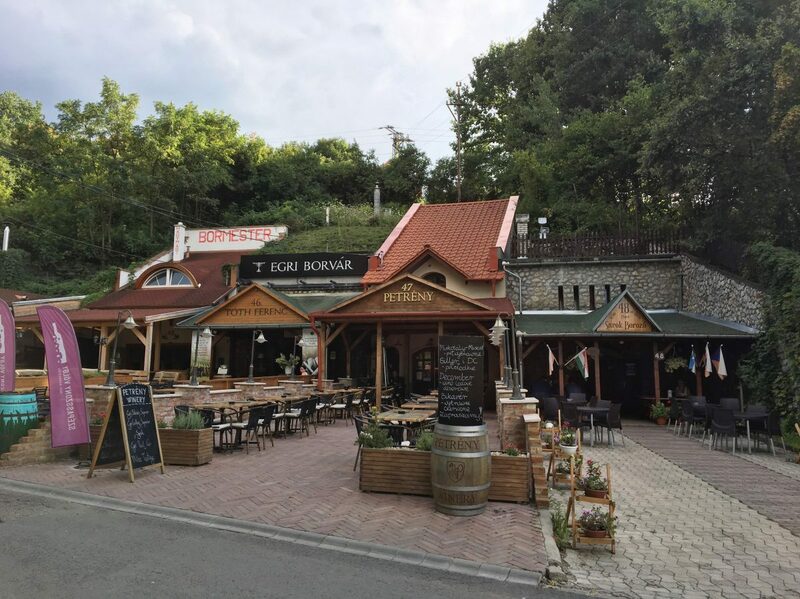 Kedves Bistro St Andrea (Cellar 38) – one of the newer faces in the Valley, it is a higher end outfit with other locations in Hungary (including Budapest) and has more the feel of a traditional tasting. To get to the Valley from the train station, you have 3 options. First, you can walk it which takes about 20-25 minutes. Second, there is a small tram that runs between the train station and the Valley two that takes around 10-15 minutes and costs around 600Ft one way. Finally, you can take a taxi which runs 1500-1800Ft each way. 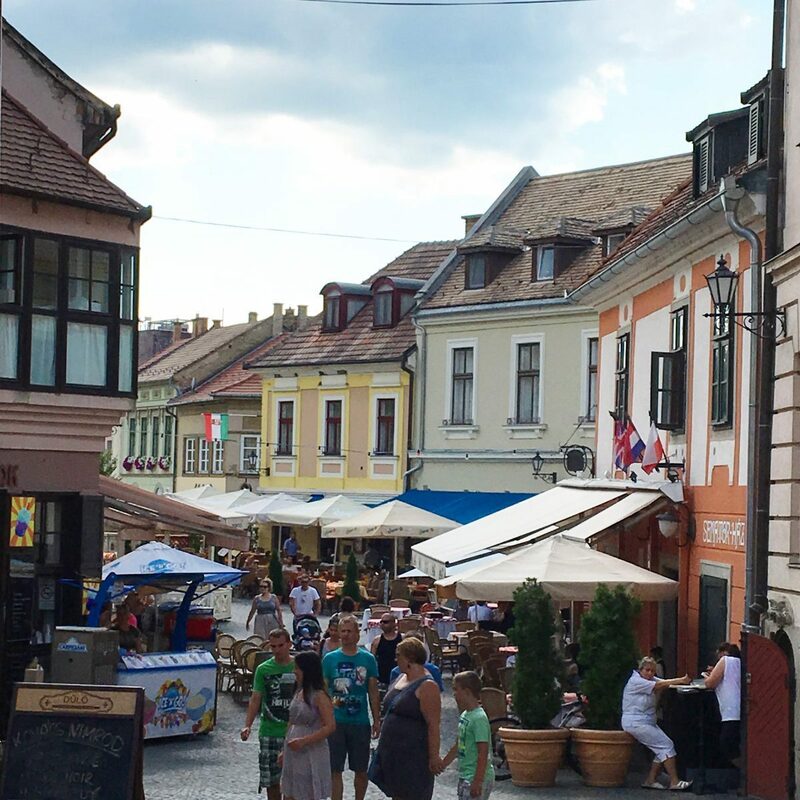 If you’ve got time (and you should try) the town of Eger is worth exploring. 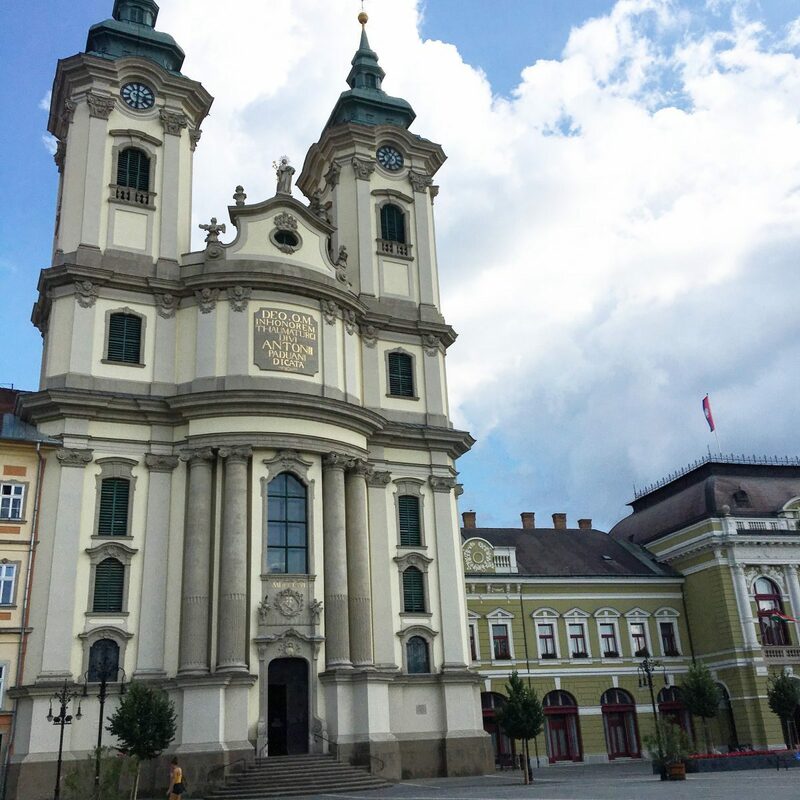 Narrow, twisting cobbled streets lined with colorful cafes, enticing shops, and well-preserved, vibrant, Baroque architecture empty out into charming, broad squares. Just all around quaint, small town ambience that’s perfect for a stroll. Also, there’s so shortage of wine to be had whether tasting or shopping to bring some home. I even found some fun (not needed) souvenirs for Thing 1 and Thing 2. 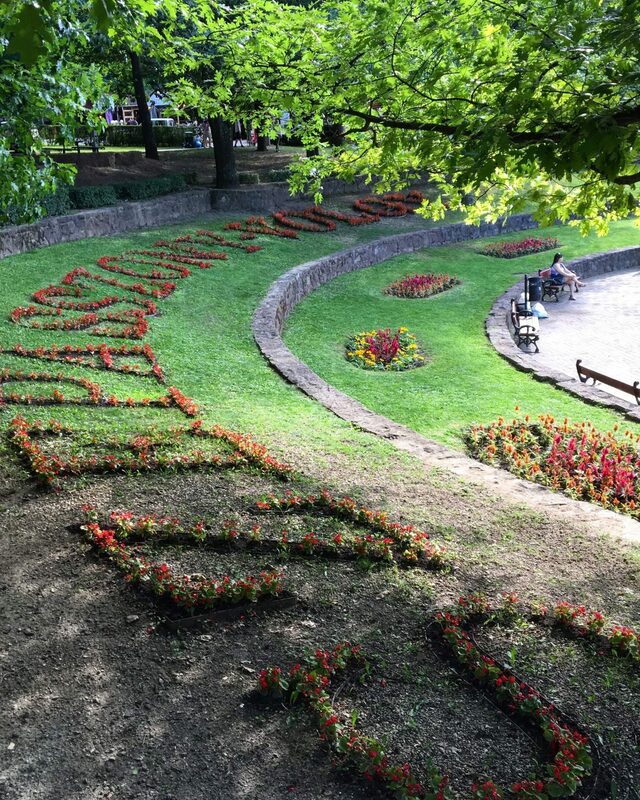 If we ever make it back to Budapest… we will definitely get there! Sounds fantastic! I’d like to make it back too, but the world is so big!